This is from another thread but I'm putting it here because my comment might derail the thread it's from. The mailing also came with a list of loyal Scientologists who have already donated. Can you guess who made the top of the list? Hey, if Bob and Trish are leading the way, how can this thing lose! Take our check and send that T-Shirt right away! The t-shirt bit comes from a posting on Tony Ortega's Underground bunker. Here's the reward list from there. will be coming to them for more money. slightest possibility of getting more from them registrars will be on them to get it. the future. I can only speculate. rising three hundred feet in the air and making a loud howl that can be heard over a great distance. I prefer an earthquake-knocks-over-a-house-of-cards. The nice thing about earthquakes is you can yak about them and if one happens, no critic can be blamed. I said my image was figurative. being run profitably as a holiday resort. Since Gilman Hot Springs suffers disastrous mudslides and floods every few decades, nobody would pay good money for the land. And, who wants a huge studio that far from tinseltown? Who wants a dumb old fake ship stuck in the sand? CoS would have to sell it at a huge loss. Don Carlo wrote: Since Gilman Hot Springs suffers disastrous mudslides and floods every few decades, nobody would pay good money for the land. And, who wants a huge studio that far from tinseltown? Who wants a dumb old fake ship stuck in the sand? CoS would have to sell it at a huge loss. There are estimates that Scientology has $1.5 billion to $2 billion in cash. I suspect the organization has a lot less than that. Hubbard, in his writings about money said to spend freely and make more money. Reports of David Miscavige's lavish spending for his personal benefit. Reports of David Miscavige gambling heavily in Las Vegas with Hubbard's money while Hubbard was alive. Tommy Davis admitted that Scientology has to pay property taxes on the real estate Scientology owns. Scientology hires large numbers of non Scientology private investigators. Scientology hires large numbers of non Scientology lawyers. Scientology's relentless and ruthless fund raising. Scientology's rapidly diminishing active membership. Scientology buys time and space for lavish and ineffective advertizing. Yes, $1.5 billion to $2 billion is an almost unimaginable amount of money and it makes incredible interest. wealth is also very much over estimated. Interest rates are low these days, unless CoS locked in higher rates from many years ago. Still, a tiny fraction of a billion is still something. I have made this point before and I think it's still worth reminding people. People do not go looking for the cult. The cult comes looking for them. I put that in generic terms because Scientology doesn't have a monopoly on it. I was over checking out Tony Ortega's Underground Bunker. Here's the link for the page I was looking at. of work being done on Scientology's new television facility, KCET. This is the picture I find interesting. This shows, presumably, sea org staff members, working at night, painting the bars on the windows. is to keep people inside from getting out. That's my opinion on the matter but I am open to arguments to the contrary. It's against fire regulations to have blocked windows in a bedroom. In each bedroom, at least one window to the outside should open in case of fire. You can buy, at Lowes or Home Depot, window bars that can swing open from the inside. If observers complain that these rooms are unsafe dorms, the fire department can do a surprise inspection and demand immediate safety fixes. Wait until the renovations are completed and the place starts operating. Then report it to the fire department. It will be a greater amount of "dev-t'" and expense at that time. as a treatment for post traumatic stress. Reference: Battle for the Mind by William Sargant. In Scientology PTSD is short for potential trouble source type D, which is, "not responsible for condition." a test. Everywhere else, PTSD is short for post traumatic stress disorder. should set you back about fifteen to twenty thousand dollars, if not everything you own. 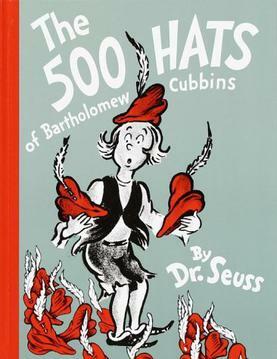 Do you think Bartholomew Cubbins might possibly be fully hatted? are heavily guarded and well out of the public eye. Scientology should release a new book by L. Ron Hubbard.